What’s the best part of going back to school? Is it the new clothes, the supplies or simply the excitement of seeing old friends and the prospect of making new ones? I’ve left one very important part of a new school season out – the learning! And who couldn’t stand to learn a new thing or two? 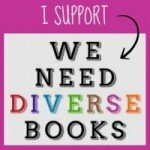 I’ve gathered together a bunch of books I hope you will want to share with your kids. They cover a range of these topics so there really is something for everyone. Dive in and let me know what you think. A particular favorite of mine is the latest offering from Tad Hill, creator of the New York Times Bestseller Duck & Goose. For those of you with pre-schoolers and Kindergarten-aged kids, How Rocket Learned to Read (Schwartz & Wade Books, $17.99, ages 3-7) will inspire. If your children are already readers, this charming tale will bring back those early days when every word was a new adventure. Rocket the darling dog just wants to nap, but a little yellow bird has set up school at the same spot and is determined to teach all the letters of the alphabet to the reluctant Rocket. Soon Rocket is pulled into the story yellow bird reads aloud and waits with baited breath for more, but the bird has flown away for the day. It doesn’t take long for Rocket to become a star pupil, sounding out each letter of the alphabet, “With a G and many Rs as they spelled Mr. Barker’s growl. GRRRRRRRR!” Share the excitement beginner readers experience with this adorable book. The Exceptionally Extraordinarily Ordinary First Day of School (Abrams, $15.95, ages 4-8) by Albert Lorenz is just the kind of book kids clamor for. It’s clever, creative and incredibly, enormously imaginative. 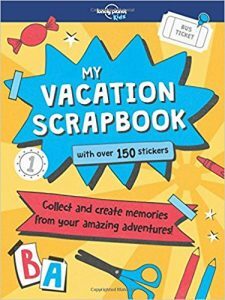 Filled with fun facts (about things like paper and spitballs, anthropomorphism and more!) alongside the narrative, and enhanced by hilarious illustrations, this is a book that will be read again and again. I found myself scanning every corner of the pages, each time delighted at finding new things. While the speech bubbles may at first be a distraction, they really do add to the over-the-top effect the author aimed for. The book introduces us to new (could he be nervous, too?) student John,the librarian Mrs. Dewey and a plethora of interesting schoolmates and teachers. Apparently his parents now seek an ordinary school and life since John’s previous school (a castle) was anything but! Do we believe John or simply go along for the raucous ride? Will your Parents’ Night ever be the same? What a wild and weird way to begin the new school year! How lucky for us to have Teacher’s Pets (Candlewick Press, $6.99, ages 5 and up) by Dale Ann Dodds with illustrations by Marilyn Hafner. An enjoyable read-aloud story both parents and children alike will relate to. There’s always one teacher like Miss Fry, kind, caring and extremely patient, but when she tells her students that Monday is sharing day, she soon finds herself caretaker to a host of pets the kids have brought to school then left behind. The classroom’s a virtual pet shop what with the rooster, tarantula, and boa constrictor, but somehow the cricket Moe chirrups its way into Miss Fry’s heart making this story as heartwarming as it is humorous. I was happily tricked by 1 + 1 = 5 and Other Unlikely Additions (Sterling, $14.95, ages 5 and up) by David LaRochelle and illustrated by Brenda Sexton. Try figuring out these quirky equations and you and your kids will have a blast looking at math in a whole new light. The bold and colorful artwork by Sexton adds to the winning formula in a book about thinking “outside-the-box” that will not disappoint. If this doesn’t get kids thinking up fun new math games, I don’t know what will. When does 1 + 1 = 1? When you take 1 a.m. and 1 p.m. which then equal 1 day. I am constantly in awe of pop-up and flap book artists and engineers who create new ways to make what could be an average alphabet or counting book outstanding. Robert Crowther delivers with these two new titles from Candlewick Press. ABC: The Most Amazing Hide-and-Seek Alphabet Book and 123: The Most Amazing Hide-and-Seek Numbers Book (Candlewick Press, $12.99 each, ages 3 and up). These interactive titles are great in the way Crowther has configured everything. For example, pull down the tab for “O” and you will see an owl, and pull just a little more and watch the eyes move. I love that added feature! What I like best is that I know with the great illustrations and creative approach, kids won’t be bored and with the counting book, and will actually spend time counting. Be prepared parents, the numbers book goes up to 100! 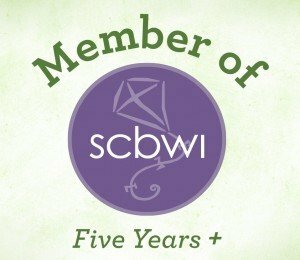 Charlesbridge Publishing brings us two winning books. The first is Lola Loves Stories (Charlesbridge, $6.95, ages 2-5) by Anna McQuinn with illustrations by Rosalind Beardshaw, about a little girl who needs no encouragement to read and head off to distant lands, and Kindergarten Day USA and China – A Flip-Me-Over Book (Charlesbridge, $7.95, ages 4-6) by Trish Marx and Ellen B. Senisi , ideal for teachers and classrooms or simply for parents and kids who are curious about what it’s like to attend school on the other side of the world. And though far apart in miles (and 12 hours ahead in time zones), the average school day is really very similar. While one story is about using our imagination and all the great places it can take you, the other deals with real people and real places and teaches some Mandarin Chinese in the form of pinyin using the English alphabet to sound out the characters. Both books are upbeat and ideal for reading together or alone. Part of the proceeds from Kindergarten Day USA and China goes to The Global Fund for Children supporting the world’s most vulnerable children and youth. It’s 1970s Boston and forced busing is in place in Busing Brewster (Knopf, $16.99, ages 6-10) by Richard Michelson and illustrated by R. G. Roth. “Ain’t no Negroes at Central,” Brewster declares after learning that he’ll be attending first grade at Central, a White school and not his local elementary because of mandatory desegregation. With his Mama all positive about the advantages of Central, Brewster figures a school with a pool can’t be all that bad despite an hour’s bus ride. A rock thrown at the bus window by protesters and two policeman standing guard may not seem encouraging, but when older brother Bryan gets into a spat, a day of detention in the library turns out to be a blessing in disguise. Enter Miss O’Grady, the librarian, who sees all children’s potential regardless of race or ethnicity, and makes Brewster promise to come back, and maybe even consider running for president one day. Here’s my $64,000 question: Is Your Buffalo Ready for Kindergarten? (Balzer & Bray, $16.99, ages 4-8) by Audrey Vernick with illustrations by Daniel Jennewein. Check off the following list of criteria: Does your buffalo have a packpack? Is he worried about not being good with scissors? Can your buffalo cooperate and take turns? Well I think he’s ready! You’ll turn the pages quickly as you eagerly await what hilarity ensues as the big dude experiences Kindergarten including snack time – and you do know how Buffalos eat their food, don’t you? Can your Buffalo pull off a huge, shiny grin on picture day and charm all your classmates? You decide! Older kids should be on the lookout for George Brown, Class Clown: World’s Worst Wedgie in bookstores Oct. 7 (Grosset & Dunlap, $4.99, ages 7-9) by Nancy Krulik and illustrated by Aaron Blecha, but in the meantime they can read the first two in the series George Brown, Class Clown: Trouble Magnet, and George Brown, Class Clown: Super Burp! If you are not familiar with our man George, he’s the disaster-prone titular ten-year old character spun-off from the popular huge selling Katie Kazoo, Switcheroo chapter books. In the most recent book, George is seized by uncontrrollale super burps. Whether it’s do-si-doing and swinging your partner or having to stay with the lunch lady during recess for sneezing snot on someone’s lunch tray or making the loudest belch in history, it seems everyday at Edith B. Sugarman Elementary is filled with new challenges for the class clown. Natasha Lands Down Under by Katherine McCaughan is reviewed by frequent contributor, traveler and author Debbie Glade. Glade is the author, illustrator and voice talent of the award-winning children’s picture book The Travel Adventures of Lilly P Badilly: Costa Rica, published by Smart Poodle Publishing. She visits South Florida schools with her reading, writing and geography programs. For years, Debbie was a travel writer for luxury cruise lines. She writes parenting articles for various websites and is the Geography Awareness Editor for WanderingEducators.com. She blogs daily at smartpoodlepublishing.com. Natasha is a ten-year-old Russian girl who is forced to adjust to abrupt lifestyle changes when her family flees from China to Australia in 1950. The challenges and hardships Natasha’s family faces are beautifully depicted in this young adult novel, Natasha Lands Down Under. Author Katherine McCaughan was inspired to write this fictional book to reflect her own heritage. Katherine was born in China to Russian parents, and her family fled to Australia – just like the family in the book. She knows firsthand what it feels like to be an outsider in unfamiliar land. Back to the book…Natasha is an intelligent, curious girl who is headstrong and cannot help but speak her mind – though this often gets her into trouble. Her family has no choice but to escape China during the Communist Revolution and journey to Australia to live with Natasha’s difficult, annoying aunt and her two spoiled sons. No one in the family including Natasha can speak English, yet she must attend school and learn as quickly as possible. She longs to find a true friend and adjust to her new way of life, but she desperately misses her life in Shanghai. The story takes place during the course of a year, revealing many flashbacks as well as the gamut of emotions Natasha experiences as an immigrant to Australia. She herself discovers something about her baby sister that becomes a difficult reality for her parents to face. And throughout the book, Natasha learns unexpected truths about other family members. All of the characters in Natasha Lands Down Under are well developed, making them easy for readers to conceptualize. In Natasha Lands Down Under, the words cascade off the page like a gently flowing river, and the engaging dialogue takes the reader right to the heart of each scene. I love the way author Katherine McCaughan exposes young adult readers to different cultures, languages and lifestyles by subtly weaving the information into the story line. A curious reader will not be able to resist researching more about Russia, China and Australia after reading this book. Like me, readers young and old will finish this book with a new appreciation for modern day comforts and familiar surroundings. They will also think about the struggles their immigrant ancestors faced when coming to America. Natasha Lands Down Under is a pleasure to read, and I would love to find out in another novel what lies ahead for Natasha. Natasha Lands Down Under won the 2009 Moonbeam Children’s Book Gold Award in the Young Adult Fiction – Historical/Cultural category. The very talented artist, Joyce Wan, won a greeting card illustration contest as a child, and that led to creating greeting card collections with the loveable hugging monkeys we see on her new book, Greetings from Kiwi and Pear. Having just returned from the annual National Council for Geography Education Conference, I was delighted to review this book. Young children in America are in desperate need of educational materials that teach them about the world. When you open this sturdy, compact book, you will find a colorful map of the world showing the plane routes taken by Kiwi and Pear on their world journey. And to make that even better, there are 34 stickers at the back of the book, so children can mark the monkeys’ travel locations as they read or listen along to the story. I love that! On each set of pages is a simple postcard describing what Kiwi and Pear did in each destination, with a postage stamp that matches a sticker (with illustration and place name) to stick on the map. An outline showing where the sticker should go is included on the map to make it easier for little ones to find. Brilliant! The pages on the right fold out to display adorable, colorful illustrations of the monkeys enjoying their travels. Among their destinations you will find something on every continent – places such as New York, Antarctica, Paris, India, China, Mexico, Australia and more. And to make this even more fun, there’s a page about outer space! 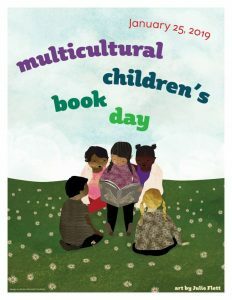 I can’t say enough about the importance of books like Greetings from Kiwi and Pear. 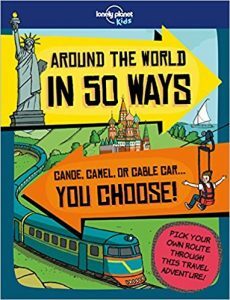 This book introduces children to travel and geography in a fun and educational way. Parents and grandparents will thoroughly enjoy sharing it with their loved ones. It’s never too early to teach your kids about the world, and Greetings from Kiwi and Pear is a great place to start! Editor’s Note: This book is available from Blue Apple, an imprint of Chronicle Books and is recommended for ages 4-8. This delightful book was reviewed by regular contributor Debbie Glade. Glade is the author, illustrator and voice talent of the award-winning children’s picture book The Travel Adventures of Lilly P Badilly: Costa Rica, published by Smart Poodle Publishing. She visits South Florida schools with her reading, writing and geography programs. For years, Debbie was a travel writer for luxury cruise lines. She writes parenting articles for various websites and is the Geography Awareness Editor for WanderingEducators.com. She blogs daily at smartpoodlepublishing.com. 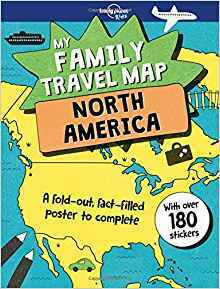 As a travel writer, children’s travel adventure author and member of the National Council for Geographic Education, I say any book written for kids that exposes them to the world is a wonderful thing. Getting There by Martha Stewart Konrad from Tundra Books is a simple, adorable book with vivid photographs written for very young readers. It is all about how people from different parts of the world get around. You name it – Yak, camel, moose, bike, canoe, cart, boat, on foot, being carried and more. It shows children that no matter how different our lifestyle may be from people in other parts of the world, we all have a lot in common. I applaud the author for doing her share to promote geography education, which is greatly lacking in our schools. The best thing about buying Getting There is that all royalties go to support children of extreme poverty through an organization called World Vision. So when you buy this book, you will not only be educating a child you love, but you’ll also be helping a child in need in another part of the world. Getting There was reviewed by Debbie Glade. Glade is the author, illustrator and voice talent of the award-winning children’s picture book The Travel Adventures of Lilly P Badilly: Costa Rica, published by Smart Poodle Publishing. She visits South Florida schools with her reading, writing and geography programs. For years, Debbie was a travel writer for luxury cruise lines. She writes parenting articles for various websites and is the Geography Awareness Editor for WanderingEducators.com. She blogs daily at smartpoodlepublishing.com.